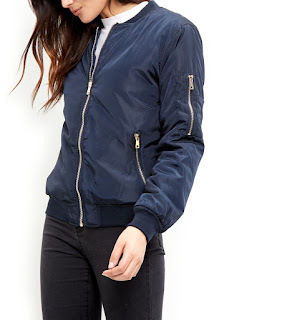 Bomber jackets are everywhere this season, I owned one in the 90's, a black MA-1 style and loved it. 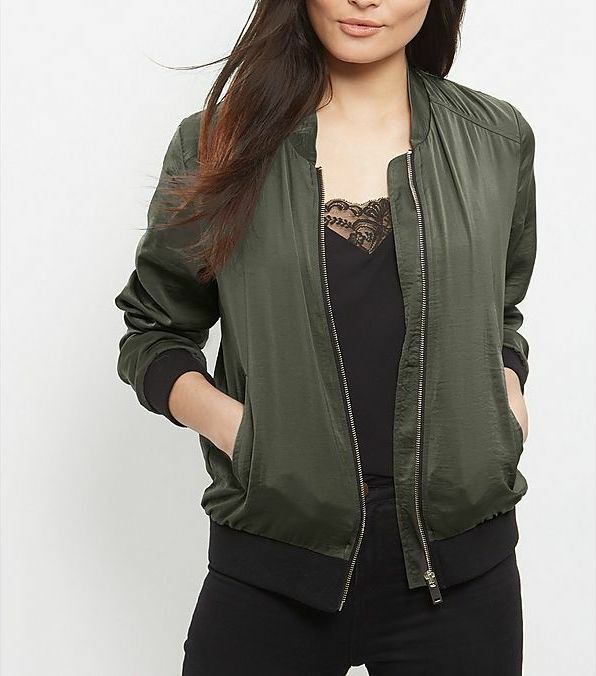 Seems to be a popular choice of jacket this season, it will never replace my trusty biker, however, I have been leaning towards the bomber as my preferred choice lately. It may not be to everyone's taste but with so many styles out there, there's bound to be one that will suit you. Last summer I tried on this silk bomber by rag and bone, straight away fell in love with it, but sadly I wasn't in love with the price tag. 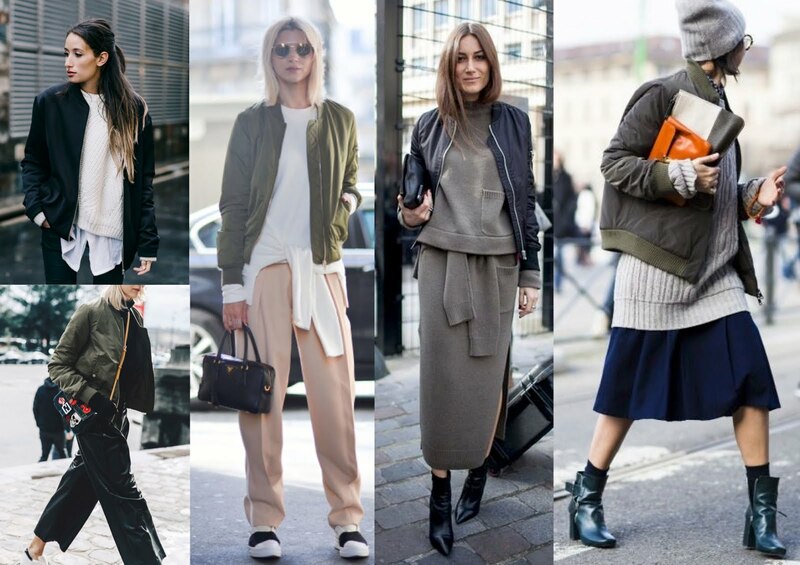 I have been making use of my husbands Zara bomber instead, luckily he hardly wears it. Wanting a more feminine style to wear now, I had planned to buy this Zara one on the left to brighten up my wardrobe until I walked into New Look and saw the below right on the manakin. In the end, I decided to buy the Khaki jacket, even though I should have bought the floral, I always end up with masculine styles. Unfortunately, both bombers have sold out since. If you're in two minds on whether to get one or not, I've selected some options with my usual street style images showing you how easy it is to style. I must admit my wardrobe is not complete without a bomber right now. This one from New Look is the same as my Khaki one, comes in black, stone, pink and this mink colour. It's ok for the price, light weight and fits nicely, the only thing I would say is to be careful not to get it caught on anything as it will pull the material. I have also added a couple of my other favourites from New Look. 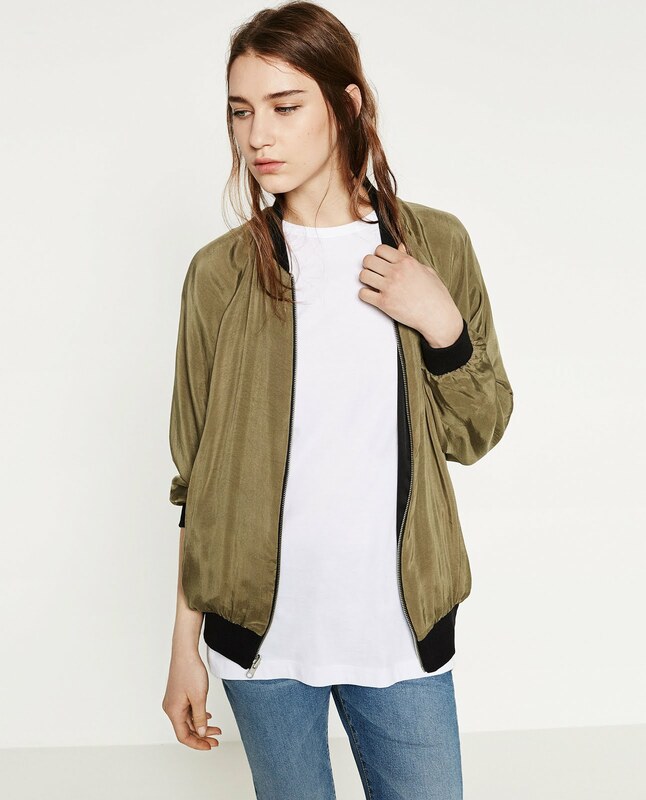 This Zara reversible bomber is perfect for those who can't decide between the classic black or this season's Khaki colour, best of both for £49.99. 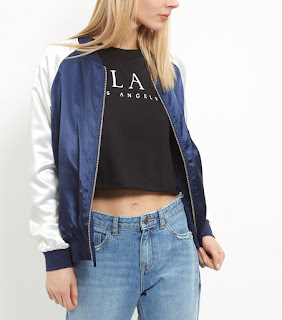 There have been some great bomber jackets in Zara this year, most of them selling out within weeks. 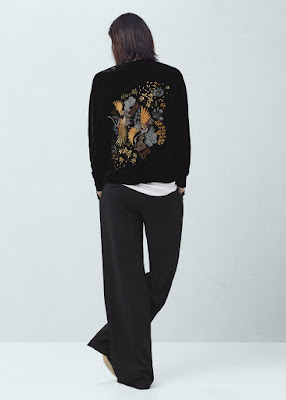 This velvet bomber by Mango sells at £89.99, a bit pricey but versatile. 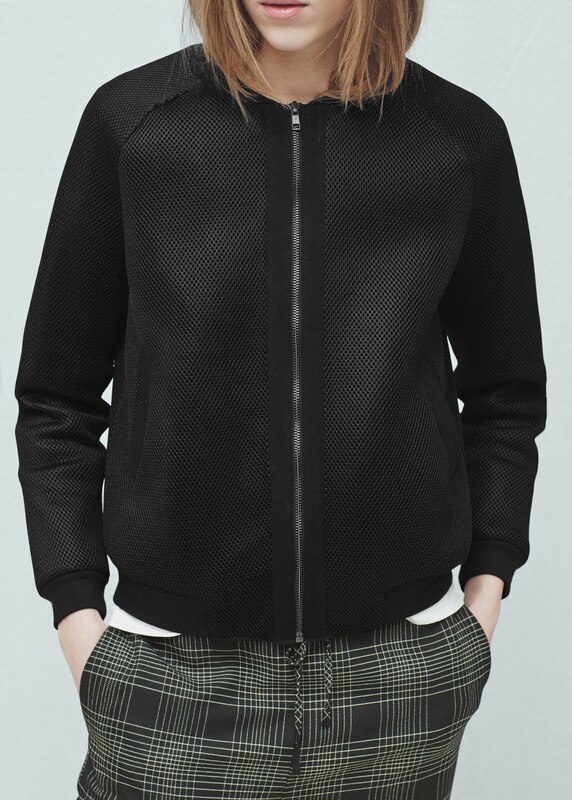 The below Mango mesh bomber is a lot smarter compared to the rest, maybe an option for the office? With so many choices to pick from it can get a bit indecisive. If you do decide to get one stick to your personal style and what you would wear often. 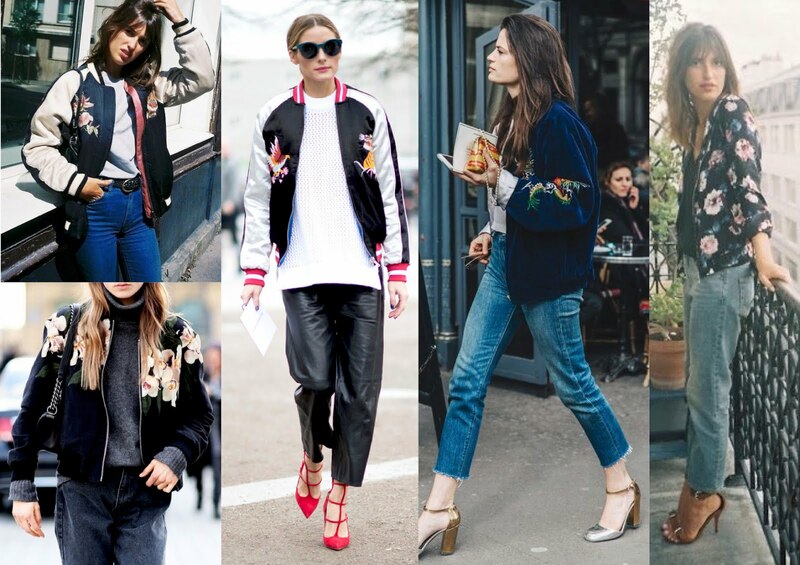 If you're still not sure on the other hand, have a look at some street style images taken from Pinterest that may convince you. 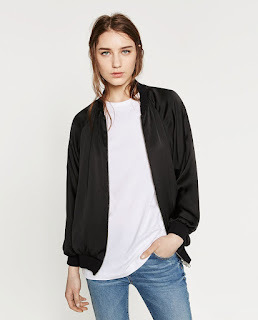 It's the must-have summer jacket of the season, as you can see you can wear it with most things, happy shopping!